Your custom ERP system design solution. 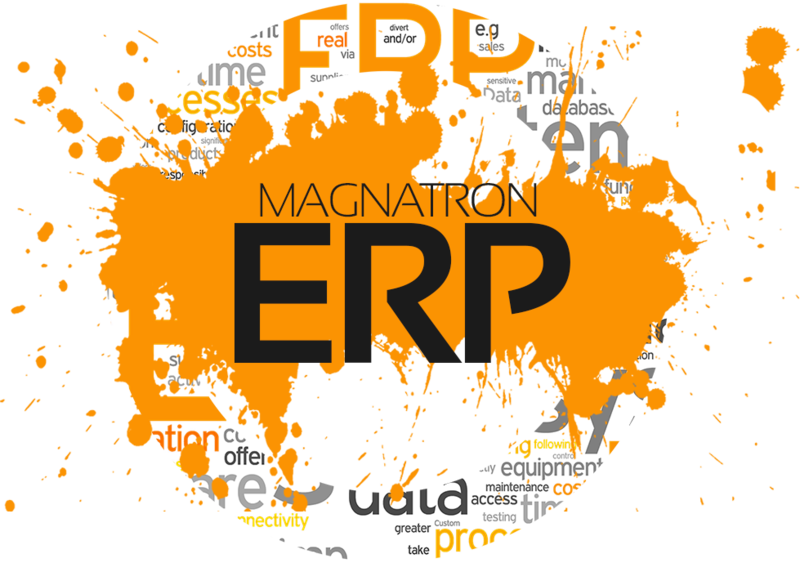 Magnatron has written interfaces to many ERP System Design software solutions. We have the ability to design ERP systems based on local, regional or global sales, inventory, forecasts, prices, profit margins, budgets and more. Magnatron E-Commerce allows your company to utilize the internet to not only expand your customer base and Enhance your customer relations, but to also improve existing sales relationships, Remove costs from the sales process and increase efficiency in the supply chain. 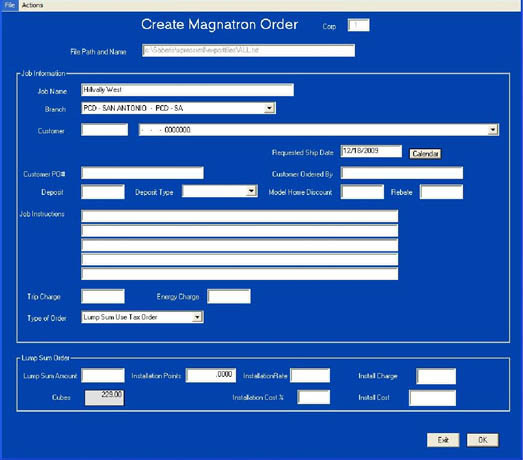 Quick entry orders can be migrated into the Magnatron distribution system via a seamless interface. Four different types of orders may be generated via the interface: Lump sum priced, Lump sum priced, subject to Use tax, Package priced order, and regular per cabinet priced order. Our Inventory Control Software Module offers many custom features not found in other Inventory Control Software packages. It’s full-featured, customizable and extensible, making it the perfect choice for your warehouse and distribution operations. Magnatron’s Belting Module allows for fixed or variable belt assemblies. The assemblies can have components such as lacing, v-guide, vulcanization, cleats or labor. You will have the ability to add additional items to an assembly and be able to make changes at any time of the work order. The ASP model (Application Software Provider) facilitates the usage of the Magnatron Software system off of Magnatron’s servers via the internet, thus lowering your investment. Magnatron offers several options to reconcile feature gaps, each with their own technical solutions include rewriting part of the delivered software, writing a homegrown module to work within the ERP system design, or interfacing to an external system. These three options constitute varying degrees of system customization—with the first being the most invasive and costly to maintain Alternatively, there are non-technical options such as changing business practices or organizational policies to better match the delivered ERP system design feature set. ERP system designs are theoretically based on industry best practices, and their makers intend that organizations deploy them as is ERP vendors do offer customers configuration options that let organizations incorporate their own business rules, but gaps in features often remain even after configuration is complete. Software is always evolving. So are we. We have partnered with Saberis Inc. to develop an interface to the 20-20 Kitchen Cabinet ERP system design. This interface allows you to have a completely integrated business software package. No longer are you required to key the same information multiple times. From one PC you can have full control over all of your distribution and warehousing processes. Benefits of our custom ERP can improve quality and efficiency of the business. By keeping a company’s internal business processes running smoothly, ERP can lead to better outputs that may benefit the company, such as in customer service and manufacturing. “I would like to introduce to you Magnatron Enterprise Management Solutions. For over thirty years we have provided high value software solutions for the wholesale distribution industry at an affordable low cost. Our modules are extraordinarily flexible yet easy to use meeting your individual needs. Magnatron software will improve the efficiency of your business processes and customer communication, leading to faster inventory turns and increased sales opportunities. From credit checking to shipping and all of the points in between, you will see that our system can be the back bone of your wholesale distribution industry. Magnatron takes pride in providing various specialized services including system design, hardware configuration, and custom programming to meeting your specific needs.